Australia-based Civmec Construction has been awarded two separate contracts valued at $160 million for work at Rio Tinto’s Amrun bauxite project in Queensland. The larger of the contracts include the construction of the process facility including a bauxite beneficiation plant and associated water, electrical and lighting systems, and the provision of a combined total of 11.800 tonnes of Australian steel and precast concrete. According to Civmec, the fabrication, precast manufacturing and modular assembly will take place at its facilities in Newcastle, NSW, and in Henderson, WA. The second contract, awarded by Sandvik, includes the part supply, fabrication, surface treatment, mechanical and electrical install and the modularisation of a stacker, reclaimer and shiploader for bauxite material handling. Civmec said this contract involves the fabrication of 2,200 tonnes of steel, with the work to be carried out at the Henderson Facility. The company’s Chief Executive Officer said the two contract awards will give employment to over 500 personnel across the Henderson and Newcastle facilities. “We are appreciative to Rio Tinto and Sandvik for the award of these contracts. 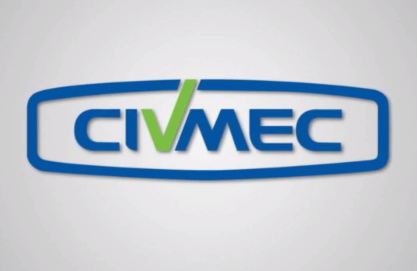 Civmec will proudly carry out the work for the Amrun Project in Australia, creating local jobs and providing a boost for the Australian economy,” he said.